NEWLY ADDED LEVEL KIT BRAND NEW RAPTOR WHEELS AND TIRES AND RAPTOR RUNNING BOARDS! SEE BEFORE AND AFTER PICS!! !This is a Clean One Owner 2016 Ford F-150 Lariat with under 20K miles! This F-150 features a Ingot Silver Metallic Exterior and Black Leather bucket seats on the interior. This truck is a worker with its 5.0 L V8 FFV Engine and included tow package and 275/65 R18 Goodyear Tires. This Lariat also features SYNC voice and bluetooth system Sirius XM Radio Keyless coded entry Remote start Reverse camera and sensing system and Navigation system to make your ride much more comfortable. We are a full service dealer with a straight forward approach to you used Jeep buying experience. We also offer a variety of aftermarket accessories for your car truck or SUV. 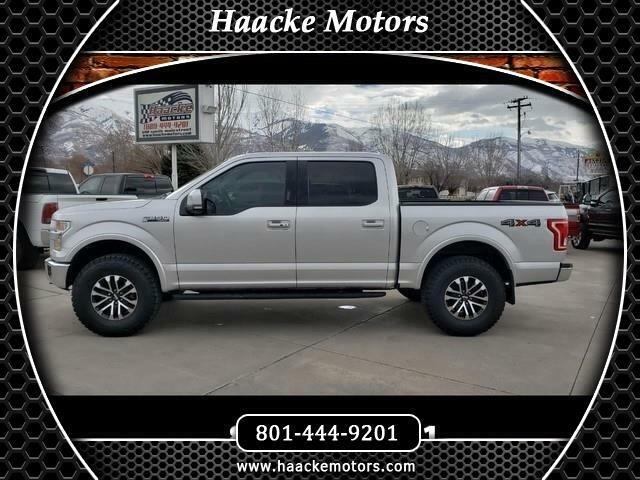 Financing is available on approved credit and we accept all trades.See us on our websiteat www.haackemotors.com AutoTrader.com Cars.com Carsforsale.com KSL.comCargurus.com CarFax Online Facebook and Instagram! We're human, we make mistakes. Call us if you have any questions!